The St. Louis Cardinals short-season Class-A affiliate finished five games over .500, but fell just short of a playoff berth. Key standouts included Joshua Lopez, Evan Mendoza, Scott Hurst, Andrew Summerville, Daniel Castano and Levi MaVorhis. In their most recent stint as a St. Louis Cardinals’ affiliate, the State College Spikes have been extremely consistent, posting records above .500 in all five seasons. The 2017 season brought more of the same. State College finished 40-35, but was edged out by Mahoning Valley by five games for the Pinckney Division title and fell 3 ½ games short of the Wild Card as it failed to defend its New York Penn League title from a year ago. When the Spikes look back on their results from this campaign, they’ll find a number of missed opportunities in the form of two opponents – the Auburn Doubledays and Batavia Muckdogs – two teams that finished tied for last in place in the Pinckney Division at 30-45. Manager Joe Kruzel’s State College club managed just a 13-11 record in 24 games against these two cellar dwellers, a similar mark to the 14-12 record it posted against second-place West Virginia and the eventual champion Scrappers. As Kruzel noted in his final conversation of the year with the media, though, there were still numerous positives to take away. Arguably the greatest achievement of the Spikes’ season came courtesy of Evan Mendoza, who won the NYPL batting title. Mendoza fell 23 plate appearances short of qualification, but still held the league’s highest mark after receiving an out on paper for each of those 23 non-appearances. He hit .370 in State College before his promotion to Peoria. 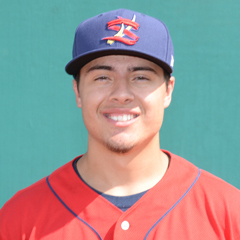 The Spikes last prior batting title winner was Steven Ramos in 2013. The Spikes finished their season with a frantic push for the playoffs, winning eight games over a 10-day stretch against the three other teams in the Pinckney Division race. The hot streak put the Spikes back in contention before falling out in the final week. A record six Spikes were named to this season’s NYPL All-Star Team. Five saw action in the game, as Joshua Lopez drove in the winning run and Andrew Summerville recorded the save for the South team. Other All-Stars were Daniel Castano and starters Yariel Gonzalez and Scott Hurst. Mendoza was promoted prior to the contest. Two August games against Vermont featured two of the year’s most exciting outcomes on back-to-back nights. On August 11, Wood Myers tied the score in the 10th with a hit before Yariel Gonzalez won it in the 11th. The following day, Myers again tied the game with a two-run homer in the ninth inning, and Brandon Benson put the finishing touches on a win with a walk-off 11th inning single. A favorite cliché among baseball people, “It’s a marathon, not a sprint,” truly embodied the methodological approach the Spikes took to this season. State College finished every month this season (besides the six games it played in September) with a record two or three games above .500, experiencing little in the way of peaks and valleys. June began slowly, as the Spikes started 4-4 out of the gate before sweeping a series in Auburn to finish the month at 7-4. July didn’t bring many differences. State College ended the month at 15-13 despite playing 17 games against teams that finished with a losing record. In the end, this is likely the stretch that cost the Spikes a shot at the playoffs because they failed to take full advantage of an easier schedule. While their record was similar in August, the Spikes’ opposition was much stronger. State College faced just four teams that finished under .500, but the Spikes ended the month at 16-14, hanging onto playoff hopes until almost the very end. The month of September wasn’t too kind to the Spikes, however. Losses in two of their first three games of the month were enough to eliminate them from postseason contention. State College lost four of its six September outings, finishing the season with its worst month of the year. The unquestioned strength of this year’s Spikes team was its offense. They led the NYPL in runs scored, crossing the plate 356 times in 75 games for an average of 4.75 runs per game. The way State College did so, however, leans somewhat against one of the major trends across professional baseball today. The Spikes hit just 30 home runs this season, tied for seventh in the NYPL. Instead, they relied on doubles, tying for the league lead with 133. 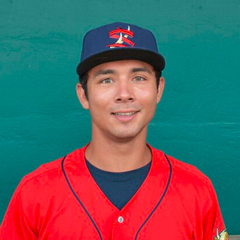 Evan Mendoza – St. Louis’ 11th round pick in 2017 was the undisputed offensive leader of the Spikes during his time in State College. Mendoza slashed .370/.431/.549 for Kruzel’s club, adding 20 extra-base hits in 41 games. 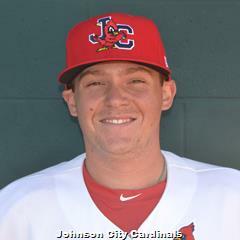 Scott Hurst – The third-round pick of the Cardinals in the 2017 draft showed why he was taken so soon, slashing .284/.354/.432 to the tune of 11 doubles, six triples and three homers. If there’s a red flag for Hurst, it’s his tendency to strike out, as he whiffed in nearly a quarter of his plate appearances. Joshua Lopez – Lopez’s start to the season was truly something to behold. The 21 year-old catcher hit .395 through the end of July with a 1.046 OPS. He came crashing down to earth over the latter part of the year, though, finishing with a .285/.348/.425 slash line. The Spikes’ pitching staff was a middle-of-the-pack unit this season, finishing with a 3.40 ERA, good for seventh in the NYPL. However, State College’s pitchers were probably aided by a bit of luck. Its 1.40 WHIP ranked 13th in the league, while the Spikes also allowed the second most hits. Daniel Castano – The first part of a duo of lefthanders who paced the State College rotation all season, Castano finished ninth in the NYPL with a 2.57 ERA. Though Castano was somewhat inconsistent, he could completely take over a game when he was on. In seven of his 14 starts, Castano pitched at least seven innings while allowing two runs or fewer. As a result, he led the league in innings pitched with 91. 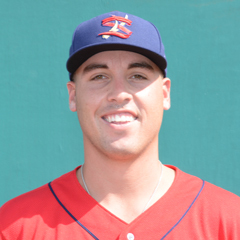 Andrew Summerville – The second deadly southpaw in the Spikes’ rotation this year pitched with the type of consistent poise and reliability one might expect of someone from his alma-mater. Drafted in the 12th round out of Stanford, Summerville’s sparkling 1.64 ERA was the second best in the New York Penn League. Not once throughout his 10 starts did Summerville allow the opposition to score more than twice, as he finished the season with a 4-1 record. 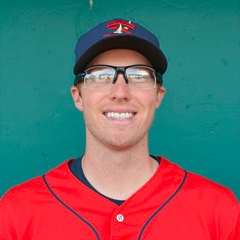 Levi MaVorhis – The most reliable man out of the bullpen for Joe Kruzel this year, MaVorhis was used primarily in long relief situations after beginning the season as a starter. He allowed just five runs over 33 2/3 innings in relief, striking out 39 batters on the year and walking just 11. He also owned a 1.08 WHIP that was the best among those with more than 25 innings pitched. A popular destination for 2017 draft picks who had played in college, the Spikes hosted seven such players on their roster at season’s end. Among them were Scott Hurst, the Cardinals’ third round draft pick from this season, and Zach Kirtley, the fifth rounder. State College was also home to five players signed as international free agents, including talented pitching prospect Johan Oviedo, as well as slugging catcher Joshua Lopez. Overall, the Spikes hosted eight players currently ranked on TCN’s list of the top 50 Cardinals prospects. For some, like Evan Mendoza and Anthony Shew, State College was a brief site used a launching pad for a move further up the ranks of the organization. For others, like toolsy youngsters Dennis Ortega and Bryce Denton, it served as a place to struggle and work on the intricacies associated with playing professional baseball at a high level. Joe Kruzel’s first year at the helm was an interesting one to say the least. As Lopez and Mendoza slugged their way through June and July, the Spikes benefitted from arguably the best one-two offensive punch in the league. Then, as Lopez slowed down and Mendoza was promoted, a different two-headed monster emerged in the form of Castano and Summerville, leading a pitching staff that was forced to pick up the slack as the team suffered an offensive identity crisis without the production of its two leaders. Though the Spikes ultimately fell short of the playoffs, the progression of multiple players was evident from the start of the year to the end. Link to master article with all 2017 award winners, team recaps and article schedules for the remainder of this series. Of course, that will include our selections as the State College Spikes Reliever, Starting Pitcher and Player of the Year. Follow David Eckert on Twitter @davideckert98.